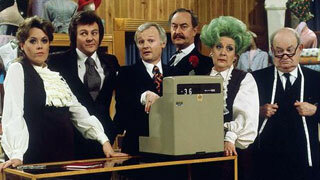 Good news for fans of Are You Being Served? – the show will be returning to MPT Sunday, May 7th at 3:30pm! It’s just one in a series of British shows you’ll be able to watch on Sunday afternoons. 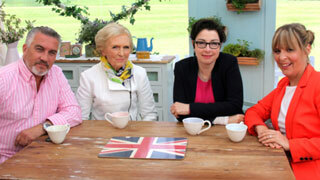 At 2:30pm Sundays, starting May 7th, we’ll have Great British Baking Show. 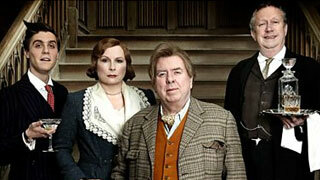 Then following AYBS, at 4:00pm you can see Blandings, a comedy series adapted the Blandings Castle stories of P. G. Wodehouse, starring Timothy Spall, Jennifer Saunders, and Mark Williams (who you probably know better as Father Brown). Wrapping up the afternoon at 4:30pm is the detective series, DCI Banks. So lots to look forward to, beginning Sunday, May 7th. 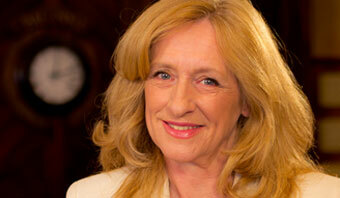 Before then though, don’t forget that Call the Midwife will be returning on April 2nd, with a brand new series. Season six is set in 1962, and features a couple of new midwives. 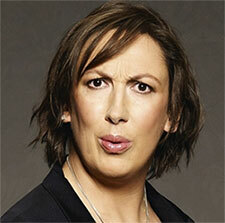 Unfortunately, when the current season was filmed last August, Miranda Hart, who was all set to return as “Chummy,” had to drop out owing to some scheduling conflicts. Hart continues to be as busy as ever and will soon be making her West End musical theatre debut as Miss Hannigan in a revival of the musical Annie. Starring in the show is apparently a dream come true for the actress/writer/comedian. As a child in boarding school she would reportedly choose to rehearse every role in the show to “an imaginary audience of thousands” rather than play with kids in the playground. Hart has also been busy writing her first children’s book, The Girl With The Lost Smile, which comes out in October.